Eller Service s.c., the owner of hosting service available at pobieraczek.pl, was sending to its customers misleading information in order to intimidate them and persuade to pay for serviced they did not directly order. The President of the Office of Competition and Consumer Protection decided that the clients of the website pobieraczek.pl received messages suggesting a criminal offence. Meanwhile, only a court issuing the judgment, may determine whether a crime was committed. An entrepreneur can not intimidate its consumers. Even the hypothetical suggestion that there will be filed a complaint or a private suit, is against the law. Entrepreneurs cannot intimidate consumers in order to force them to make their payments, and cannot lead consumers into legal confusion. The President of the OCCP ordered the company to pay a penalty of more than 215 thousand PLN. Eller Service filed a complaint against this decision. The Court of Competition and Consumer Protection in its judgment of 13 December 2013 case file XVII AmA 76/12 upheld that decision. The judgment is not final. See also “Polish regulations on prohibited contractual provisions” and “Polish case law on abusive clauses in B2C IT and IP contracts“. Categories: Art. 4 CUCP | Art. 5 CUCP | consumer protection law | contract law | e-law issues | e-services | Polish Act on Combating Unfair Commercial Practices | Polish Court of Competition and Consumer Protection | Polish courts | Polish institutions | Polish law | President of the Office of Competition and Consumer Protection. The “Nigdy Więcej” (Never Again) Association and the “Zielone Światło” (Green Light) Foundation organized a social action entitled “Nazism never again on Allegro”. It was a protest against a Polish auction website Allegro.pl which allowed to buy and sell different Nazi gadgets and memorabilia. The Foundation together with a writer, artist and social activist Jerzy Masłowski prepared an illustration with Allegro.pl logotype in which in which two L letters were changed and shaped as the SS symbol. This illustration was used on postcards that were handed out to different people during the street-action that happened near Metro Świętokrzyska in Warsaw on 21 March 2010. On 20 April 2010, the Foundation received a cease and desist letter from QXL Poland – the owner of Allegro. The Company requested the removal from all public places of all publications, photographs, posters and billboards, and other materials that included the altered trade mark. QXL demanded destruction of all the above mentioned materials and asked the Foundation to publish an apology on its website, as well as in the pages of Gazeta Wyborcza newspaper. The Foundation refused to comply. QXL Poland sued the “Zielone Światło” foundation and Jerzy Masłowski for the infringement of personal rights. During the trial, the Foundation argued that it has conducted correspondence with Allego with regard to products with fascist symbols or products referring to fascist ideology, that were offered at different auctions. However, it has not brought the intended effect, because Allegro.pl did not remove these items from its website. For this reason, the Foundation organized the street action. The Foundation argued that from 8 June 2010, the provisions of Article 256 of the Criminal Code were amended. shall be subject to a fine, the penalty of restriction of liberty or the penalty of deprivation of liberty for up to 2 years. § 22 The same punishment shall be imposed on anyone, who for the purpose of dissemination, produces, records or import, acquire, stores, possess, presents, transports or transfers a print, record or other item of the content specified in § 1 or being a carrier of the fascist, communist or other totalitarian symbolism..
§ 3 A crime is not committed by a perpetrator of a forbidden act specified in § 2, if he or she commits the said act in the course of artistic, educational, collectible or scientific activity. The Foundation concluded that its action was a response to long-term omission of Allegro. The action was organized to draw the attention of relevant authorities and the public at auctions that poses a danger to others. It sought to protect an important public interest, and therefore was not unlawful. In addition, the Foundation argued that according to the legal doctrine the criticism aimed at improving the reality is not illegal, even if it is excessively expressive in description and in negative assessment, as well as it’s impolite way of expression and presentation of arguments, if it is justified by the importance of issues raised and the literary form that was used. Moreover, the scope of permissible criticism depends on the weight of social affairs, and in case of doubt, freedom of expression takes precedence, and in some cases even offensive criticism is acceptable. If the case requires so, the criticism might be very offensive, and it may even seek to destroy the enemy, for example, in the dispute against pedophilia or against the view that is glorifying Stalin. The Foundation argued also that a request for legal protection raised by Allegro cannot ban the Foundation and other individuals from expressing their critical opinions of the plaintiff’s conduct. Such behavior constitutes an abuse of the subjective right as decided by the Appeallate Court in Lódź in its judgment of 25 May 2006 case file I ACa 15/06, published in electronic database LEX, under the no. 512493. On 9 November 20011, a lawyer representing the Foundation presented a legal opinion issued by Prof. Wojciech Sadurski. Prof. Sadurski wrote that there was no violation of personal interests. In the opinion of the author, the case brought by QXL Poland illustrates the conflict between two types of claims related to absolute rights protected by the law. The claims relating to freedom of expression, and intellectual property claims relating to the protection of trade marks owned by QXL Poland. Citing the case law of the Polish Constitutional Tribunal, prof. Sadurski argued that freedom of speech is superior to other constitutional rights and freedoms. He noted that limiting the right to freedom of expression by issuing a ban on speech, would violate the essence of the constitutional right to freedom of speech. Prof. Sadurski cited Smith v Wal-Mart Stores, 537 F.Supp.2d 1302 (ND GA 2008), however he pointed out that the Foundation does not conduct any commercial activity, and the risk of consumers’ confusions is clearly excluded. Please bear in mind that such opinions are treated by the Courts as private documents, not as the expert witness evidence/testimony. The case is pending and the next hearing is scheduled on 6 February 2012. QXL Poland filed also a request for preliminary injunction. The District Court in Warsaw in its order of 20 January 2011 case file XXIV C 1035/10 dismissed it during a closed-door court session (in camera). However, the Appeallate Court in Warsaw in its decision of 5 May 2011 case file I ACz 671/11 decided to secure the claim of QXL. The Court prohibited the Foundation and Jerzy Masłowski from transmitting and disseminating on their websites of any publications or materials containing the questioned trade mark. The District Court in Warsaw in its judgment of 13 March 2013 case file XXIV C 1035/10 ruled that the “Zielone Światło” (Green Light) Foundation infringed personal rights of Allegro, such as reputation and fame. The Court decided that the demonstrations against the sale of Nazi memorabilia and interference with the logo of the portal were too excessive and bore the risk of linking the portal with Nazi organizations. The Appeallate Court in Warsaw in its judgment of 9 January 2014 case file I ACa 841/2013 dismissed Allegro’s claims. The Court noted that in this case there was a conflict of values, but also drew attention to the historical context of the sale of items referring to the Nazi ideology. The court held that undoubtedly there has been violation of the good name of the plaintiff – the name of the portal website, and in consequence, it could interfere with its business because some customers would not have positive opinions regarding the auction site. However, the rough means of expression that were undertaken by the Defendants, in order to remove the sale of a Nazi gadgets, excluded illegality. According to the Court this actions proved to be effective – have led to restrictions on the sale of Nazi’s memorabilia . What’s more important, the Court held that the Defendants acted to protect a legitimate public interest. The court ruled that artistic criticism of such business activities of an auction portal is not an unlawful action and deserves constitutional protection. The judgment is final. Categories: Art. 22¹ CC | Art. 23 CC | Art. 43¹ CC | company name or firm | computer law | e-adverstising | e-auctions | e-law issues | e-marketing | legal regulations on computer networks | personal rights or interests | Polish Appeallate Court | Polish Civil Code | Polish courts | Polish District Court | Polish law | trade mark dilution | trade mark fair use | trade mark infringement | trademark law. Roman Giertych sued Ringer Axel Springer, the publisher of fakt.pl website, for the infringement of personal interests. Mr Giertych demanded that defamatory comments posted at fakt.pl should be removed by the publisher. He also seek for the compensation and the apology to be published on some websites. Ringer Axel Springer argued that it is not responsible for the comments that appeared on its website based on the provisions afforded in the Polish Act of 18 July 2002 on Providing Services by Electronic Means – PSEM – (in Polish: ustwa o świadczeniu usług droga elektroniczną), published in Journal of Laws (Dziennik Ustaw) No. 144, item. 1204 with subsequent amendments, and the TOS that excluded the liability of the publisher for vulgar or offensive comments. The District Court in Warsaw in its judgment of 20 October 2011 case file III C 330/11 agreed that all these comments were defamatory, however, the Court ruled that there is a different legal status of the editorial part of the website that included newspaper articles, and another status has to be attributed to a part that included the users’ comments – i.e. an internet forum, even if these comments were posted under the article placed by the owner of a website/web hosting provider. Despite claiming the right to control the content of entries (comments) that were made ​​by website’s readers, in the light of the provisions of the PSEM, the publisher has no such obligation. The Court decided that the publisher can not be held responsible for offensive comments posted on its website, however it can be found responsible only in case it failed to remove such comments, after obtaining positive knowledge of the unlawful nature of such entries. It means that under the Polish law, the publisher is not liable for the infringement of personal rights, but only for a possible damage that is based on the general principles that are provided in the Polish Civil Code. Mr Giertych appealled. The Appeallate Court in Warsaw in its judgment of 11 October 2012 case file VI A Ca 2/12 made a clear distinction between the services provided by Ringer Axel Springer. The first one was a news service of a daily newspaper made available for free in the electronic form under the domain name fakt.pl, and the second was a free service of the internet forum. The provisions of the Polish Act of 26 January 1984 on Press law – APL – (in Polish: ustawa Prawo prasowe), published in Journal of Laws (Dziennik Ustaw) No. 5, item 24, with subsequent amendments, should be applied to the first service, and the provisions of the PSEM to the second. The Court ruled that comments posted for free, by anonymous users of fakt.pl website under the article that was an online version of a paper edition, do not constitute press materials as defined in the Article 7(2)(i) of the APL. The lack of any influence from the editorial over anonymously published comments, not to mention any of their prior verification makes this kind of speech free of control and as such cannot be regarded as a press material. The Court disagreed with Mr Giertych that such comments should be treated as “letters sent to the editor” of a journal that is published electronically. The Supreme Court in its judgment of 28 September 2000 case file V KKN 171/98 ruled that letters to the editor are the press material if they were sent to the editor for publication, and the editor-in-chief is responsible for publication of press releases, however, the publication of the letter to the editor must be preceded by careful and accurate checking of the information contained in such a letter to the editor. The Court agreed that such comments could be deemed as letter to the editor according to the APL, but only, if they were published in the paper version of the magazine, therefore, the editor (editor-in-chief) or the publisher would have full control over the content of such comments/letters. Users of fakt.pl do not send their their opinions and comments to the editorial of fakt.pl for publication on a discussion forum that exists on that same website, but they decide themselves about such a publication. The editor-in-Chief cannot therefore be responsible for comments published by third parties, because he or she had no control over the content or the action. The Court also ruled that Mr Giertych drawn incorrect conclusions as to the Terms of Service of fakt.pl website, in which the editorial of fakt.pl allegedly reserved the right and at the same time undertook its control over the content posted on fakt.pl website, including comments, and the right to manage them, especially the right to decide which comment deserves publication and which does not. First, the Court found that Ringer Axel Springer has reserved only the right and not an obligation to manage of comments posted by users, secondly, this right was reserved in the TOS ​​not on behalf of the editorial of a journal that is published in electronic form under the domain name fakt.pl, but on behalf of the administrator of the IT system, thirdly, the reserved right applied not to decisions about publication of a particular comment on the website, but to decisions about its blocking, moderation or deletion. Therefore, the Court dismissed the appeal. Mr Giertych filed a cassation appeal. The Supreme Court in its judgment of 10 January 2014 case file I CSK 128/13 partially agreed with Mr Giertych and returned the case to the lower court for reconsideration. The SC held that if the comments were defamatory and included vulgar words, the IT system applied at fakt.pl should have automatically removed such comments, but it did not, therefore it must be presumed that the publisher of a website, could know about offensive comments. If there was such knowledge, then the publisher/editor is liable for the infringement of personal interests. The Supreme Court established the so-called presumption of facts based on the provisions of the Article 231 of the Civil Proceedings Code. The court may conclude and consider as established facts, that are relevant for the outcome of the case, if such a conclusion can be derived from other established facts (presumption of fact). Regardless of the cassation complaint filed in this case, Mr Giertych filed a complaint before the Polish Constitutional Tribunal. Mr Giertych requested the Tribunal to decided whether Article 14 of the PSEM is consistent with the principle of the rule of law, the right to protect of private life, family, honor and good name. Categories: Art. 14 PSEM | Art. 23 CC | Art. 24 CC | computer law | criminal law | defamation | e-law issues | image | ISP liability | legal regulations on computer networks | personal rights or interests | Polish Act on Providing Services by Electronic Means | Polish Civil Code | Polish courts | Polish Supreme Court | privacy | surname. 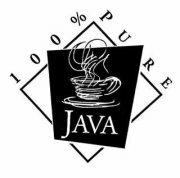 On January 2007, the Polish Patent Office granted the right of protection for the word-figurative trade mark JAVART R-184566, applied for JAVART Spółka z o.o. form Warsaw, for goods in Class 1 services in Class 35 and 42. JAVART filed a complaint against this decision, but the Voivodeship Administrative Court in Warsaw in its judgment of 20 January 2011 case file VI SA/Wa 111/10 dismissed it. JAVART decided to file a cassation complaint. The Supreme Administrative Court in its judgment of 23 November 2012 case file II GSK 1539/11 dismissed it. The Court held that the PPO correctly found that the applicant may gain unfair advantage through the use of the sign JAVART. Categories: Art. 132(2)(iii) IPL | Art. 156 IPL | famous trade marks | Polish Act on Industrial Property Law | Polish courts | Polish institutions | Polish law | Polish Patent Office | Polish Supreme Administrative Court | reputed trade marks | trade mark depreciation | trade mark invalidation | trademark law | Voivodeship Administrative Court. On Augut 2013, Polish telecom Polkomtel sp. z o.o. started an advertising campaign of its mobile Internet access services. In a short movie, a girl named Basia is starting new life by dumping her boyfriend and moving to a new flat with an Internet access based on LTE technology. She mentions that her boyfriend had Internet access provided by Telekomunikacja Polska S.A. under the brand name Neostrada. She is very happy about the changes. The ad ends with the statement that Internet provided by Plus (brand name of Polkomtel) is faster from Neostrada. This comparison is based on the ranking provided by SpeedTest.pl of July 2013. On 9 September 2013, Telekomunikacja Polska requested the District Court in Warsaw to issue a preliminary injuntion against Polkomtel, in order to prohibit acts of unfair competition and trade mark infringement of the word trade mark NEOSTRADA R-182762. Telekomunikacja noted that Polkomtel is one its major competitors on the Polish telecommunication market. The Company argued that Polkomtel infringed its trade mark rights by taking unfair advantage of reputation and distinctive character of the NEOSTRADA brand, and the advertising movie was comparative advertising contrary to good practices, and as such, should be deemed as unfair competition. The District Court in Warsaw in its order of 23 September 2013 case file XVI GCo 204/13 dismissed the request. The Court held that premises to secure the claims are based on substantiation of claims, i.e. on providing prima facie evidence of the infringement and legitimate interest in granting the order. According to the Court, Telekomunikacja did not provide evidence on reputation of its trade mark and Polkomtel did not infringe the right of protection for NEOSTRADA, because this sign was only used to specify the service to which it relates. The word was used as a name for a given service, not as a trade mark. The Court noted that advertising that allows to identify, directly or indirectly, the competitor or products or services offered by the competitor, described as “comparative advertising”, should be deemed the act of unfair competition if it is contrary to good practices. However, the short movie clip published by Polkomtel is not in any way contrary to such practices, because it is not misleading and it does not affect market decisions as to the purchase of goods or services. The Court agreed with the decision of the President of the Office of Competition and Consumer Protection of 6 August 2009 case no. DDK 4/2009, according to which, advertising is deemed as misleading when a consumer gets false idea of ​​the goods or services, and misleading information influence the decision to purchase these products. See also “Trade mark law, case XXII GWo 68/12“. Categories: advertising law | Art. 16 CUC | Art. 296(1) IPL | Art. 296(2)(iii) IPL | comparative advertising | likelihood of confusion | Polish Act on Combating Unfair Competition | Polish Act on Industrial Property Law | Polish courts | Polish District Court | Polish law | reputed trade marks | trade mark infringement | trademark law | unfair competition delict | unfair competition law | well known trade marks. On May 2008, the Polish Patent Office granted the right of protection for the word trade mark COOL RIVER R-205208 in Class 3. This sign was applied for by the Polish company Firma Handlowa A & S PARFUME FACTORY Marek Asenkowicz from Katowice. ZINO DAVIDOFF SA filed a notice of opposition to the decision of the Patent Office on the grant of a right of protection. DAVIDOFF argued that COOL RIVER is similar to its trade marks such as DAVIDOFF COOL WATER R-71968, COOL DIVE IR-0850699, Cool Water IR-0615313. All these signs are intended to indicate the same goods as the questioned trade mark. DAVIDOFF also claimed that its trade mark COOL WATER IR-0812386 is reputed one. Moreover, the trade mark COOL RIVER has been applied for in bad faith, because A & S PARFUME FACTORY knew about the existence of earlier marks owned by DAVIDOFF. The sale by A & S of perfumes in almost identical packagings, as packagings used by DAVIDOFF was the irrefutable evidence of the use of reputation of DAVIDOFF’s trade marks and the application of COOL RIVER in bad faith. The Adjudicative Board of the Polish Patent Office dismissed the request in its decision of 7 March 2011 case Sp. 483/09. While considering the visual and aural similarity of trade marks Cool Water, Davidoff Cool Water and Davidoff Cool Water Wave in relation to the questioned trade mark COOL RIVER, the PPO noted that all the words used in these trade mark have the origin of the English language. However, regardless of whether they will be pronounced in accordance with the spellings of the Polish language or in English, they are different in the visual and aural aspects due to the different verbal elements – WATER and RIVER. Furthermore, the PPO ruled that the word COOL, being the same element in all signs, is a common and popular word associated with something cold. The word WATER differs from RIVER in the visual aspect, and their pronunciation is different. The PPO also found that there were no circumstances indicating that A & S applied for its trade mark in bad faith. The burden of proving bad faith was on DAVIDOFF. At the same time, the overall assessment of the circumstances surrounding the consciousness of A & S at the date of trade mark application will decide on its bad faith. In the opinion of the PPO, such circumstances did not occur. Evidence such as the flyer entitled “list of alternative scents”, similar perfume packagings used by A & S as well as printouts from the website showing COOL WATER and COOL RIVER perfumes, were not sufficent to prove bad faith. Davidoff filed a complaint against this decision. The Voivodeship Administrative Court in its judgment of 17 January 2012 case file VI SA/Wa 2051/11 dismissed it. The Court agreed with the PPO that the trade marks are not similar. The VAC also held that the understanding of bad faith should be based on the provisions of the Polish Industrial Property Law. Bad faith occurs if someone applies for the trade mark in order to block other application or in order to block the use of the sign by other entity who uses this trade mark in the market or to take over the company’s market position. Bad faith also exists when someone is filing for a trade mark for speculative purposes, and there was no intent to use the applied sign, and in order to get benefits from the entity that owns such trade mark. Bad faith trade mark application happens when the applicant without due care or being aware, applies for a sign in violation of the rights of another person, or when the applied trade mark is contrary to morality or fair trade practices. The Supreme Administrative Court in its judgment of 3 September 2013 case file II GSK 730/12 dismissed the cassation complaint filed by ZINO DAVIDOFF SA. Categories: Art. 131(2)(i) IPL | Art. 132(2)(ii) IPL | Art. 132(2)(iii) IPL | bad faith | likelihood of confusion | Polish Act on Industrial Property Law | Polish courts | Polish institutions | Polish law | Polish Patent Office | product packaging | reputed trade marks | similarity of goods | similarity of signs | trade mark opposition | trademark law | Voivodeship Administrative Court. The District Court in Wrocław in its judgment of 10 May 2013 case file I C 327/11 dismissed the suit. The Court ruled that the person seeking for the protection of his or her image has to prove that such image was published and is recognizable. 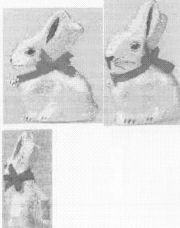 It results from identification of information features of an image. Moreover, the image should be recognized not only by the person concerned, but also by third parties. The image of the plaintiff contained in the pictures was not fully recognized even his colleagues from the former primary school, as evidenced by comments on the website. Publishing of any informational or shooting materials on the website only provides the opportunity to look at such meterial by others, but this does not mean automatically that such information reached to an unlimited number of people, and consequently, that information was widespread. The Supreme Court in its judgment of 10 February 2010 case file V CSK 269/09 (published in: OSNC 2010/9/127) held data published on the web are not deemed as well-known/widespread data. The Supreme Court in its judgment of 27 February 2003 case file IV CKN 1819/00 (published in: OSP 2004/6/75) held that the infringement of the image of the individual occurs when it was published without the consent of the person in the photograph and while it allows for the identification of that person. Categories: Art. 14 PSEM | Art. 23 CC | Art. 24 CC | Art. 78 ARNR | Art. 81 ARNR | Art. 83 ARNR | computer law | e-law issues | image | Inspector General for Personal Data Protection | ISP liability | legal regulations on computer networks | personal rights or interests | Polish Act on Authors Rights and Neighbouring Rights | Polish Act on Providing Services by Electronic Means | Polish Civil Code | Polish courts | Polish District Court | Polish institutions | Polish Supreme Court | right of publicity. The Polish company Promedica Care Sp. z o.o requested the Inspector General for Personal Data Protection (GIODO) to issue a decision that would order Agora S.A., the owner of gazeta.pl website, to disclose IP addresses of users who posted negative comments regarding Promedica24.pl website. The GIODO decided that Agora S.A. should disclose requested information, although, it also noticed that the provisions of Article 29 of the Polish Act of 29 August 1997 on the Protection of Personal Data – PPD – (in Polish: Ustawa o ochronie danych osobowych), unified text published in Journal of Laws (Dziennik Ustaw) of 6 July 2002, No. 101, item 926, with subsequent amendments, were repealed as of 7 March 2011. 5) processing is necessary for the purpose of the legitimate interests pursued by the controllers or data recipients, provided that the processing does not violate the rights and freedoms of the data subject. However, these regulations should be still applied to proceedings initiated before the entry into force of the Act that repealed the above mentioned provisions, and there was no obstacle to justify the refusal to provide the requested data according to the provisions of Article 30 of the PPD. 4) result in a substantial breach of personal interests of the data subjects or other persons. The General Inspector did not agree with Agora S.A. that providing the requested data would infringe personal interests of the users of gazeta.pl website and its fora. The violation was only hypothetical, and was not supported by proper evidence. Agora S.A. argued that there are no legal instruments that would allow for monitoring the use of disclosed data, and this may lead to their use not only inconsistent with the purpose for which they were disclosed, but even to such use that is contrary to law. The GIODO noted that the absence of such instruments is not synonymous with the use of disclosed data contrary to the purpose for which it was made available. At the moment such data was disclosed, the Company will become the controller (administrator) as defined in the Article 7(4) of the PPD. 4) controller – shall mean a body, an organisational unit, an establishment or a person referred to in Article 3, who decides on the purposes and means of the processing of personal data. According to the GIODO, the processing of these data will be subject to the regulations provided in the provisions of the PPD, in particular the obligation not to undergo further processing of the data collected that would not be in accordance with the objectives of the disclosure (so-called principle of expediency/purposefulness), and the control of data processing in compliance with the provisions on personal data protection will be still the competence of the Inspector General. Agora S.A. argued that the provisions of Article 18 of the Polish Act of 18 July 2002 on Providing Services by Electronic Means – PSEM – (in Polish: ustwa o świadczeniu usług droga elektroniczną), published in Journal of Laws (Dziennik Ustaw) No. 144, item. 1204 with subsequent amendments, should be applied in its case, not the provisions of the PPD. 6) service recipient’s electronic addresses . 2. In order to effect contracts or other legal activity having been concluded with a service recipient, a service provider may process other data necessary due to nature (characteristics) of the service provided or way of its billing. 3. The service provider distinguishes and marks those data from among the data referred to in paragraph 2, as such being necessary for providing services by electronic means in accordance with art. 22 paragraph 1. 4. The service provider may process, upon consent of s service recipient and for the purposes set forth in art. 19 paragraph 2 point 2, other data concerning the service recipient, which are not necessary for providing service by electronic means. 4) information about using of the service provided by electronic means by a service recipient. 6. The service provider provides the information on data referred to in paragraphs 1 – 5 to the state authorities for the needs of legal proceedings carried on by them. The provider is therefore obliged to provide information on all categories of data listed in Article 18(1-5) of the PSEM, to the State authorities for the purpose of the proceedings conducted by them. The Inspector General noted that the disclosed information should also be understood as such data. The GIODO said that the provision of Article 18(6) of the PSEM are constructed in general terms and do not indicate either the types of bodies that may request such information, or the types of proceedings: criminal, civil, administrative or enforcement. The Inspector General noted that the provision of Article 18(6) of the PSEM only requires the provider to disclose information to State bodies, and it should not be interpreted broadly as the legal norm that is prohibiting the disclosure of such information to other entities. The GIODO decided that if the legislature had the intention to limit the disclosure of the information referred to in Article 18(1-5) of the PSEM, only for the bodies referred to in Article18(6) of the Act, it would explicitly formulate this provision, for example, by using the phrase “only”, which is a legislative method of defining the closed circle of entities, as it was provided in other regulations, for instance in the Article 66g and Article 66j § 4 of the Polish Act of 17 June 1966 on Administrative Enforcement Proceedings, or in the Article 72(1) of the Polish Act 5 August 2010 on Protection of Classified Information and in Article 105(1) of the Polish Act of 29 August 1997 Banking Law. The Inspector General noted that the legislature did not use the phrase “only” in the provisions of Article 218 of the Criminal Proceedings Code – CRPC – (in Polish: Kodeks Postępowania Karnego) of 6 June 1997, Journal of Laws (Dziennik Ustaw) No 89, item 555, with subsequent amendments, in relation to an obligation to disclose, at the request contained in the order, to the court or the prosecutor any mail and packages and the data referred to in Article 180c and 180d of the Polish Act of 16 July 2000 on Telecommunications Law – TLA – (in Polish: Prawo telekomunikacyjne), published in Journal of Laws (Dziennik Ustaw) No 171, item 1800 with subsequent amendments. c) location of telecommunications terminal equipment. 2) types of public telecommunications network operators or providers of publicly available telecommunications services obliged to retain and store the data. Telecommunications undertakings shall be obliged to provide conditions for access and retention as well as to make available at their own cost the data referred to in Article 159 (1) (1) and (3) to (5), in Article 161 and in Article 179 (9) related to the provided telecommunications service and processed by them to authorized entities, to the court and to the prosecutor, under the terms and observing the procedures specified in separate provisions. The Inspector General stressed that the legislature has indicated that only the court or the prosecutor is allowed to open the correspondence, mail and data, or order for their opening. § 1. Offices, institutions and entities operating in post and telecommunications fields, customs houses, and transportation institutions and companies, shall be obligated to surrender to the court or state prosecutor upon demand included in their order, any correspondence or transmissions significant to the pending proceedings. Only the court and a state prosecutor shall be entitled to inspect them or to order their inspection. The Inspector General also stressed that the above-cited provisions of the CRPC should not be applied in this case, because Promedica Care Sp. z o.o is not the authority conducting the proceedings in a criminal case, and the disclosed personal data will be used by it to initiate civil, not criminal proceedings. The GIODO indicated that Promedica may follow the procedure provided for in Article 29 of the PPD, and civil proceedings under the Civil Proceedings Code – CPC (in Polish: Kodeks Postępowania Cywilnego) of 17 November 1964, published in Journal of Laws (Dziennik Ustaw) No. 43, item 296, with subsequent amendments, regardless of actions taken under the criminal proceedings. Agora S.A. filed a complaint. The Voivodeship Administrative Court in Warsaw in its judgment of 8 March 2012 II SA/Wa 2821/11 repealed the contested decision, and held that according to the provisions of Article 18(6) of the PSEM, the only one empowered to obtain data collected by the service provider within the meaning of that Act, are the State bodies. The PSEM does not contain any other provision, which serve as the basis for disclosure of data to the entities other than state authorities. The court stated that if the legislature’s intention was to give permission to obtain operational data to entities other than state authorities, it would have included a clear regulation providing for such permission in the PSEM. Data protection is a general rule. The service provider may process personal and operational data only in the extent and on terms defined in the PSEM. Only in the absence of regulations provided in the PSEM such processing may be based on an appropriate application of the PPD. The disclosure of data to third parties – such as Promedica Care – is breaking of that protection and as an exception to the rule cannot be interpreted broadly. GIODO filed a cassation complaint. The Supreme Administrative Court in its judgment of 21 August 2013 case file I OSK 1666/12 dismissed it. The SAC held that any company or individual has the right to request ISPs to disclose e-mail addresses and IP addresses that are associated with the offensive entries. Categories: Art. 145 PBAC | Art. 16 PSEM | Art. 18 PSEM | Art. 218 CRPC | Art. 29 PPD | Art. 30 PPD | computer law | criminal law | defamation | Directive 2002/58/EC | Directive 2006/24/EC | e-law issues | EU law | Inspector General for Personal Data Protection | ISP liability | legal regulations on computer networks | personal data | Polish Act on Proceedings Before Administrative Courts | Polish Act on Protection of Personal Data | Polish Act on Providing Services by Electronic Means | Polish Act on Telecommunications Law | Polish Criminal Proceedings Code | Voivodeship Administrative Court. On February 2009, the Polish company MIS S.A. applied to the Polish Patent Office for the right of protection for the word-figurative trade mark mis Polecany Lider Innowacyjności Z-351511 for goods in Class 9. The PPO refused, becuase it found similarity with the CTM MIS no. 002167674, registered with the earlier priority for goods in Class 9 and 42 and owned by MIS GmbH. MIS S.A. requested for the re-examination of the matter. The Company argued that the abbreviation MIS stands for management information systems and it lacks distinctiveness, because this term is functioning for many years in the textbooks of economics, management and information technology. The company indicated also that the proprietor of the earlier Community trade mark does not use it in business and is not interested in renewal of the protection of its trade mark, because, for several years, the successor of the German company did not file a formal request to transfer the exclusive rights to the new owner. The PPO refused to grant the right of protection, and MIS S.A. filed a complaint against this decision. The Voivodeship Administrative Court in its judgment of 29 september 2011 case file VI SA/Wa 1257/11 dismissed it. The Court agreed that there exists similarity of signs and goods and services. Moreover, the Court stated that along with granting the right of protection for a trade mark, the exclusive subjective right is also created, this right is effective erga omnes – against all. So it’s important to separate ranges indicated in exclusive spheres of rights, and strive to avoid a situation where this could lead to overlapping powers. The property right to the trade mark is a transferable right, therefore, the sphere of exclusivity incorporated in the sign cannot be related to the business profile of the entrepreneur, because it involves the variability of the indicated areas of exclusivity and it is impossible to determine it in the course of trade, as well as in the examination proceedings conducted before the Polish Patent Office. The Supreme Administrative Court in its judgment of 13 August 2013 case file II GSK 623/12 dismissed the cassation complaint filed by MIS S.A. Categories: Art. 132(1)(iii) IPL | Art. 132(2)(ii) IPL | Art. 145 IPL | Polish law | similarity of goods | similarity of services | similarity of signs | trade mark refusal | trademark law | Voivodeship Administrative Court. A Polish company requested the Ministry of Interior to disclose public information in the form of source code of software that is used by the Ministry in performing public tasks related to Voivodeships’ databases of citizens residence. The source code of a computer application was written by employees of the Ministry as part of their employment contracts. The Ministry did not answer the request and the Company filed a complaint on failure to act. The Voivodeship Administrative Court in its judgment of 24 April 2013 case file II SAB/Wa 10/13 dismissed it. The Court ruled that according to the provisions of Article 1(1) of the Polish Act of 6 September 2001 on Access to Public Information – API – (in Polish: Ustawa o dostępie do informacji publicznej), published in Journal of Laws (Dziennik Ustaw) No. 112, item 1198, with subsequent amendments, each information on public matters constitutes public information in the understanding of the API and is subject to being made available on the basis of principles and under the provisions defined in this Act. The definition of “public information” is widely criticized for defining ignotum per ignotum. However, Article 6(1) of the API helps to clarify this problem. 2. The official document in the understanding of this Act is the text of declaration of will or knowledge, preserved and signed in any form by the public officer in the understanding of the provisions of the Penal Code within the frames of its competencies, directed to another entity or filed to the acts. The Court ruled that with regard to the types of information listed in the above mentioned provision it should be emphasized, referring to definition of public information as any information about public affairs, that public information is such information that carries a message about public affairs. Bearing that in mind, the Court noted that the source code is a series of instructions and statements written in an understandable human programming language that describes the operations that should be performed by a computer, which is a result of the work of developers. The Court ruled that that the source code does not contain any message on public matters, and is only a tool used in computer programs. The fact that certain computer programs are used by public authorities to carry out public functions, does not prejudge that their source code is public information. According to established case law of administrative courts and legal commentators, disclosure of public information is made in the form of material and technical activities, and only the refusal to disclose public information and discontinuance of the proceedings is made according to the provisions of Article 16 (1) of the API, in the form of an administrative decision. However, in cases where the requested information is not deemed as public information, it is sufficient to inform the requesting party of this fact. And in any case such situation cannot be deemed as inactivity of the requested body. According to the Court, the requested information did not met the scope defined in the API. Categories: Art. 1(1) API | Art. 23 API | Art. 6 API | computer law | copyright law | e-access | e-law issues | legal regulations on computer networks | open standards | Polish Act on Access to Public Information | Polish Act on Authors Rights and Neighbouring Rights | Polish courts | public information | Voivodeship Administrative Court. Jerzy S. requested the Inspector General for Personal Data Protection (GIODO) to issue a decision that would order Agora S.A., the owner of gazeta.pl website, to disclose IP addresses of a user, who under the nickname Marco wrote negative and defamatory comments regarding a sport article, that Jerzy S. published on gazeta.pl. This way Jerzy S. wanted to know real the name of Marco, in order to sue him or her for the infringement of personal rights based on the provisions of the Polish Civil Code. Jerze S. requested Agora to disclose such information, but the Company refused and cited provisions of Article 18(6) of the Polish Act of 18 July 2002 on Providing Services by Electronic Means – PSEM – (in Polish: ustwa o świadczeniu usług droga elektroniczną), published in Journal of Laws (Dziennik Ustaw) No. 144, item. 1204 with subsequent amendments. The Company argued that it is obliged to provide such information only to the state authorities. However, the GIODO ordered Agora to disclose requested IP addresses. The Voivodeship Administrative Court in Warsaw in its order of 20 February 2013 case file II SA/Wa 153/13 suspended execution of the contested decision. The GIODO filed complaint against this order, but the Supreme Administrative Court in its order of 23 April 2013 I OZ 269/13 dismissed it. The Voivodeship Administrative Court in Warsaw in its judgment of 17 June 2013 case file II SA/Wa 153/13 dismissed the compliant filed by AGORA. The Court ruled that in this case the condition established in Article 25(1)(v) of the Polish Act of 29 August 1997 on the Protection of Personal Data – PPD – (in Polish: Ustawa o ochronie danych osobowych), unified text published in Journal of Laws (Dziennik Ustaw) of 6 July 2002, No. 101, item 926, with subsequent amendments, was met. 5) the powers resulting from Article 32 paragraph 1 point 7 and 8. See also “Personal data protection, case II SA/Wa 2821/11“. Categories: Art. 16 PSEM | Art. 22 PPD | Art. 25 PPD | Inspector General for Personal Data Protection | Polish Act on Protection of Personal Data | Polish Act on Providing Services by Electronic Means | Polish courts | Polish institutions | Polish law | Polish Supreme Administrative Court | Voivodeship Administrative Court. On December 2010, the Polish Patent Office refused to grant the righ of protection for the word-figurative trade mark Geo Globe Polska Z-359999 applied for the Polish company GEO GLOBE POLSKA sp. z o.o. sp. k.a. The PPO decided that according to the provisions of Article 131(2)(ii) of the Polish Act of 30 June 2000 on Industrial Property Law – IPL – (in Polish: ustawa Prawo własności przemysłowej), published in Journal of Laws (Dziennik Ustaw) of 2001 No 49, item 508, consolidated text of 13 June 2003, Journal of Laws (Dziennik Ustaw) No 119, item 1117, with subsequent amendments, it is not allowed to grant the right of protection for signs which include the name or abbreviation of the Republic of Poland, if the applicant has not shown entitlement, in particular the permission of the competent authority of the State, to use the trade mark with such element. The company argued that the name “Polska” is not mentioned among the above conditions, and that Geo Globe Polska has an established position in international business. The company argued that it has tried to obtain permission from the competent authority, but it did not succeed, which in its opinion indicates that there is no legal basis to issue the relevant permit. The Chancellery of the Prime Minister and the Office of the President of the Republic of Poland issued statements that the prohibition on use of the name or abbreviation of the Republic of Poland is absolute. Geo Globe Polska filed a complaint against this decision. The company claimed that the PPO should make a literal rather than a broad interpretation of the provisions of IPL. Geo Globe Polska argued that many business entities in Poland are using the term “Polska”. The Voivodeship Administrative Court in its judgment of 22 November 2011 case file VI SA/Wa 1749/11 dismissed it. The VAC held that it is obvious that the official name “Rzeczpospolita Polska” (Republic of Poland) includs the element “Polska”. Thus, it can be regarded as an abbreviation of the name of the country. The abbreviation “Rzeczposoplita” has constitutional status, i.e. it is included in the Preamble of the Constitution of the Republic of Poland, and its second element, whether in the Polish language or in translation into other languages, is the distinguishing element of the country’s name, and it’s commonly used at international meetings, competitions, including sports events. Moreover, even the Supreme Administrative Court in its judgment of 9 March 2005 case file I GSK 1423/04 published in LEX No. 186863, held that the protection is also afforded for the abbreviations in the form of the ISO 3166 standard for country codes, such as ID or PL. In another judgment of the Voivodeship Administrative Court in Warsaw of 23 March 2007 case file VI SA/Wa 2184/06, the Court held that the name “Poland” is not sufficiently distinctive. The word “Poland” is the English name of the Republic of Poland, and the Polish Patent Office rightly pointed in this case, that even for people who do not know the Polish language, the term “Poland” will always be associated with the country, and not to a specific entrepreneur. The Court also noted that the provisions of Article 6 ter point 1a) of the Paris Convention and Article 7(1)(h) and (i) of the Council Regulation (EC) No 207/2009 of 26 February 2009 on the Community trade mark should be taken into account. The Court ruled that the protection of symbols under Article 6ter of the Paris Convention is absolute and applies to all goods and services. It concerns the symbols of particular public interest. The Supreme Administrative Court in its judgment of 23 July 2013 case file II GSK 544/12 dismissed the cassation complaint. Categories: Art. 131(2)(ii) IPL | Art. 6ter Paris Convention | company name or firm | Paris Convention | personal rights or interests | Polish Act on Industrial Property Law | Polish courts | trade mark refusal | trademark law | Voivodeship Administrative Court. The Greek company I. & K. Nikolaidis Anonymi Viomichaniki Kai Emporiki Etaireia Oikiakou Kai Epaggelmatikou Exoplismou – Geniko Emporio I.D. Sourcing A.E. requested the Polish Court for the Community Trade Marks and Community Designs to order Media Service Zawada to disclose information on producers, manufacturers, distributors and suppliers of quantities of produced and sold goods and products bearing the signs BEN 10. The Greek company is the owner of the CTM FAN BAG No. 8487911. The Polish company noted it does not use the sign in question as a trade mark but in the descriptive function, to indicate the type of goods – bags of toys related to the Ben 10 TV series, designed for fans of the series. The Court for the Community Trade Marks and Community Designs (in Polish: Sąd Okręgowy w Warszawie Wydział XXII Sąd Wspólnotowych Znaków Towarowych i Wzorów Przemysłowych) in its judgment of in its order of 3 December 2012 case file XXII GWo 68/12 dismissed the request. The Court ruled that while alleging that the defendant infringed on its CTM, the Plaintiff should indicate what type of infringement, as defined in Article 9(1) of the CTMR, has occurred in its case, and should also prove all the conditions which must be met to justify opposition to the Defendant’s use of the CTM FAN BAG No. 8487911. Usually, the Plaintiff should also indicate how the allegedly infringing actions of the defendant affect the functions performed by the trade mark. In any event, it could not be considered as sufficient evidence to only refer to the certificate of registration and description of the defendant’s actions, as did the Greek company in this case. It was also necessary to present the claims of identity/similarity between the CTM and the questioned sign and the identity/similarity of the goods or services of either party, the strength of the trade mark, its reputation, and if there is a risk of consumer confusion, and also to provide proper evidence. The Court is allowed to apply provisional and protective measures based on the provisions of the CTMR and the Polish Industrial Property Law. The Court noted that the right to obtain information (informational claim), does not in fact secure the claim. It has its own nature, which is similar to the informational claim referred to in Polish copyright law. At this stage of the proceedings the owner/requesting party can not make claims which occur in the future, possibly before the courts. These may be claims defined in the CTMR and Polish Industrial Property Law. The order to grant access to such information is intended to determine the responsibilities of a particular entity for breaching industrial property rights. Such information will allow the owner to make a decision how to sue (how to develop a lawsuit and actions) the infringer with the use of relevant and proper claims. Filing a request with an informational claim, the owner/holder must, however, explain what is the infringing act or acts and highly substantiate them but most of all, it has to indicate the claims to which the necessary information is needed, and the person to whom such claims will be directed in a future suit. Quite different information may be used in constructing claims such as interdiction, removal the effects of the infringement, payment of damages, recovery of unlawfully obtained profits or publication of the judgment, that were used against the importer, exporter, manufacturer, the person placing the product on the market, or advertiser. The main condition in order to take account of the informational claim is to establish high probability of the infringement (prima facie evidence of the infringement). Such wording was used by the Polish legislator while implementing Directive 2004/48/EC. As the Court noted it is a very original and new wording. The legislator did not refer to concepts already existing in the Polish law based on proving and making probable of facts, but required a “high degree of probability”. The Court recognized such situation as something being between “the probable” and “the proved fact of the infringement”, however, its evaluation is always left in each case to the Court hearing a request for disclosure of information. In addition, deciding on such request, the Court must also ensure the protection of business/trade secrets. The Greek company while alleging infringement of its CTM, should, inter alia, to show that Media Service Zawada was using this sign for goods which were identical or similar to these protected. However, the Company included in the request a very general statement “goods infringing the Applicant’s right” which did not allow the Court for assessment of the validity of alleged infringement. The Court held that the request did not contain evidence, and even claims of the infringement of the CTM FAN BAG No. 8487911, that could be considered as a higly probable evidence that could establish a trade mark infringement case (prima facie evidence). Categories: Art. 296(1) IPL | EU law | Polish Act on Industrial Property Law | Polish Court for the Community Trade Marks and Community Designs | Polish courts | Polish law | Regulation 40/94 | trade mark infringement | trademark law. The Polish Patent Office invalidated the right of protection for word trade mark Orlen R-192731 owned by the company ORLEN Spółka z o.o. that was registered for goods in Class 9 and services in Class 42 with the priority of 2002. The request was filed by the big Polish oil company PKN ORLEN S.A. which argued that the questioned sign is similar to its reputed trade mark ORLEN R-125559 that was registered with the priority of 1999. Orlen sp. z o.o. claimed that its company had been registered and has been operating since 1992 under the name “Orlen”, and Orlen S.A. adopted and appropriated that name in 2000. Orlen S.A. called Orlen sp. z o.o. to discontinue use of that name due to getting the right of protection for the earlier trade mark ORLEN. After an exchange of correspondence between the parties, there was no consensus due to divergent expectations, in particular with regard to financial issues. Orlen S.A. proved that there were contacts and negotiations between the parties, subject to the cease of use of the mark ORLEN and argued that the trade mark application was mercantile in nature, becasue the applicant seek only commercial interest and wanted to sell this trade mark. Orlen S.A. submitted copies of correspondence between the parties and photocopies of sale offers. ORLEN Spółka z o.o. filed a complaint against this decision and pointed out that it has offered to sell the company as a whole rather than the trade mark itself. The Voivodeship Administrative Court in its judgment of 24 October 2011 case file VI SA/Wa 1376/11 dismissed the complaint and ruled that an entrepreneur performing its business activities must be guided by the degree of care that is expected from more than the average person in order to predict the consequences of his or her actions and omissions. The content of the right to the company name within the meaning of the Polish Civil Code is not in fact an absolute and unrestricted right that allows to apply on its behalf for a trade mark that is convergent with this company name, regardless of the rights of third parties. Therefore, the person who uses a given sign and does not register it on his or her own behalf as a trade mark, acts at own risk. An entrepreneur who does not seek to acquire protection for its trade mark cannot rely on the earlier right to its company name, when the other party has obtained a right to a sign identical to the name of the business with an earlier priority and through significant investments earned its reputation. In such a situation, an identical trade mark application made by the entrepreneur who has the right to the company after many years from the commencement of his business, when the other party has made a substantial investment and broad actions leading to the reputation of its trade mark, should be regarded as taking unfair advantage of the reputation of the earlier sign. The Supreme Administrative Court in its judgment of 26 June 2013 case file II GSK 484/12 dismissed the cassation complaint. Categories: Art. 132(2)(iii) IPL | company name or firm | personal rights or interests | Polish Act on Industrial Property Law | Polish courts | Polish institutions | Polish Patent Office | trade mark invalidation | trademark law | Voivodeship Administrative Court. Wytwórcza Spółdzielnia Pracy SPOŁEM (WSP SPOŁEM) from Kielce (the capital city of the Świętokrzyskie Voivodeship) sued ROLESKI Sp. J. for the infringement of word and figurative trade marks R-197616, R-170401, R-123588 and R-193780 and unfair competition torts/delicts. Both Polish companies produce different mayonnaise products that are sold in jars of a similar capacity. WSM Społem is a manufacturer of “Majonez KIELECKI”. In 2008, ROLESKI produced mayonnaise in a package bearing the designation “Świętokrzyski”. The label of this package was modified twice, by removing the word “Świętokrzyski” and by replacing it, during courts’ proceedings, by the word “Regionalny”. 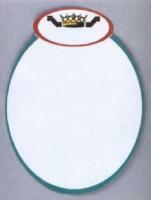 WSP SPOŁEM asked the District Court in Kraków to secure the claims and to issue preliminary injunction in order to prohibit ROLESKI, until the final decision is rendered, the sale of mayonnaise in a jar with a label containing a yellow background, a centered white box in the shape of an ellipse with a green border, and a green jar lid, and a round yellow sticker connected with jar’s side, and to seize and retain, until the final decision is issued, of all products held by the defendant in the form of mayonnaise packages with labels containing centered yellow background, a centered white or yellow field in a shape similar to an ellipse, framed or underlined by a green or red line, with a green round jar lids and a yellow label (band) connected to jar’s side, and also containing any of the elements described above. ROLESKI requested the Court to dismiss the suit. The Company argued that it does not counterfeit products of WSP SPOŁEM as it manufactures own products bearing reputable trade mark, which in consequence, eliminates not only identity, but also the similarity of products. ROLESKI noted that if the two parties compete under their own brands, there is no harm to the reputation and distinctive character of their trade marks. According to ROLESKI, WSM Społem mistaken reputation of the registered trade mark with the concept of the reputation of a product. As a result, it does not prove the reputation of the figurative mark R-197616, but generally a particular product “Majonez KIELECKI”. WSM by designating its product with a word “Majonez KIELECKI” indicates only its generic name and determine the place of origin, and therefore such trade mark is devoid of any distinctive character, as opposed to the trade mark used by ROLESKI, that is a distinctive sign. The District Court in Kraków in its judgment of 23 May 2012 case file IX GC 86/10 found that graphics of mayonnaise packages produced and marketed by ROLESKI were modeled on the graphics of mayonnaise package produced and marketed by WSP SPOŁEM. The Court noted that similarities outweighed the differences. The Court made findings of facts on the basis of documents submitted by the parties, as well as the testimony of witnesses and the opinion of an expert witness, except for the part where the expert speaks about the intentions of the designer’s of ROLESKI’s trade marks. The Court asked the expert on the likeness of packages containing the elements of trade marks and the impact of possible similarity on the likelihood of consumer confusion. ROLESKI filed an appeal complaint. The Court also found that ROLESKI used the word “Świętokrzyski”, but the office of the company was located in another voivodeship (Małopolska Voivodeship, in the Tarnów community), which was deemed as an act of unfair competition. The Appeallate Court in Kraków in its judgment of 15 January 2013 case file I ACa 1268/12 dismissed it and ruled that the District Court has made ​​the appropriate findings. The Court noted that the evidence and testimony of expert witness allowed for a clear and comprehensive answer to the question of similarity of the goods, understood as a whole, including packaging, manufactured and marketed by the parties, taking into account changes made by ROLESKI in the appearance of mayonnaise packaging produced by the Company from Tarnów. The Court confirmed that by the use of the word “Świętokrzyski” together other elements similar to those attributed to WSM Społem, ROLESKI has exploited a set of associations created by WSM Społem for the product, which is mayonnaise with a specific package. The use of the additional word “Świętokrzyski” perpetuated these associations and allowed the Court to treat ROLESKI’s action as an act of unfair competition. ROLESKI appealed directly to the reputation of the product of WSM Społem by invoking the name of the capital of Świętokrzyskie region. The Court acknowledged similarity of the vast of words and figurative elements of packaging. All the elements visible on the packaging of both parties, although they include other wordings by the use of the same color and compositional arrangement lead to customer confusion as to the origin of the goods, and it also constitutes an act of unfair competition. Categories: Art. 10 CUC | Art. 153 IPL | Art. 18 CUC | Art. 296(1) IPL | Art. 296(2)(ii) IPL | Art. 3(1) CUC | knock-offs | likelihood of confusion | look-alikes | non-traditional trade marks | parasitic copying | parasitic imitation | Polish Act on Industrial Property Law | Polish Appeallate Court | Polish courts | Polish District Court | product packaging | similarity of signs | slavish imitation | trade mark infringement | trademark law | unfair competition delict | unfair competition law. The Polish company SOBIK, a producer of butter, sued Okręgowa Spółdzielnia Mleczarska in Radomsk (OSM) for trade mark infringement of the word-figurative trade mark NATURALNY PRODUKT POLSKI, MASŁO EXSTRA OSEŁKA GÓRSKA z ekologicznie czystych terenów R-165550 and the word-figurative trade mark Naturalny polski produkt z ekologicznie czystych terenów MASŁO EKSTRA OSEŁKA GÓRSKA Naturalny polski produkt z ekologicznie czystych terenów SOBIK DOBRE BO POLSKIE Wyróżnione nagrodą konsumenta LAUR KONSUMENTA 2005 Wyróżnione Srebrnym Laurem Konsumenta R-203677 and three other trade marks. SOBIK argued that OSM in Radoms used similar product packages for butter, in particular these with words “Masło Extra” (extra butter) and “Osełka” (butter pat) written in red font on white or creamy background, and with a layout of words and figurative elements that were similar to these used in the registered trade marks. The District Court in Łódź in its judgment of 30 August 2012 case file X GC 391/10 held that SOBIK failed to show the existence of three products on the market and the competitive behavior of the defendant in respect of infringements of trade marks R-200466, R-200467 and R-195683. However, the Court found the infringement of other two signs and ruled that consumers examine packaging of products, such as butter, from a distance. The Court noted that everyday-use products (FMCG) are displayed in stores next to each other, which may lead to likelihood of confusion, because consumers do not attach so much attention in their selection. The Court also found that OSM was involved in acts of unfair competition by imitating products of SOBIK. OSM filed an appeal complaint. The Appeallate Court in Łódź in its judgment of 29 April 2013 case file I ACa 1402/12 dismissed it and ruled that OSM was not prohibited from the use of words such as “Masło Extra” or “Osełka”, but the company cannot use similar graphic design for these words on its products that could lead to consumers’ confusion. Categories: 3D trade mark | Art. 10 CUC | Art. 18 CUC | Art. 296(2)(ii) IPL | look-alikes | non-traditional trade marks | Polish Act on Combating Unfair Competition | Polish Act on Industrial Property Law | Polish Appeallate Court | Polish courts | Polish District Court | Polish law | product packaging | trade mark infringement | trademark law | unfair competition law. The Voivodeship Administrative Court in Warsaw case file VI SA/Wa 2349/12 dismissed the complaint filed by the International Olympic Committee (IOC) against the decision of the Polish Patent Office that refused to invalidate the word-figurative trade mark Olimpiada Przedsiębiorczości R-220562 owned by Fundacja Promocji i Akredytacji Kierunków Ekonomicznych, and ruled that this sign not similar to the Olympics, Olympic and Olimpiad trade marks. The Court agreed with the PPO that sounding of the sign in question is sufficiently differentiated primarily due to the fact that the mark is composed of two words. Categories: Art. 132(2)(ii) IPL | Polish Act on Industrial Property Law | Polish law | Polish Patent Office | trade mark invalidation | trademark law | Voivodeship Administrative Court. The Voivodeship Administrative Court in Warsaw in its judgment of 24 October 2012 case file II SAB/Wa 245/12 ruled that official topographic maps that were created and are kept in the databases by the Head Office of Geodesy and Cartography (GUGiK) are public information and must be made ​​available on the request of the creator of dobraulica.pl website. GUGiK filed a cassation complaint. The Supreme Administrative Court in its judgment of 5 April 2013 case file I OSK 175/13 anulled the contested judgment and ruled that the VAC incorrectly applied provisions of law, because in this case, the law on Geodetic and Cartography should be used as a legal basis for deciding the issue of public information and re-use. See also “Polish case law on e-access to public information“. Categories: Art. 1(1) API | Art. 23 API | Art. 6 API | computer law | database protection law | e-access | e-documents | e-law issues | legal regulations on computer networks | open standards | Polish Act on Access to Public Information | Polish courts | Polish law | Polish Supreme Administrative Court | public information | Voivodeship Administrative Court. A Polish lawyer who felt insulted by the comments that appeared on znanyprawnik.eu website, sued its owner. The case went through all instances. The Polish Supreme Court in its judgment of 18 January 2013 case file IV CSK 270/12 dismissed the cassation complaint filed by the offended lawyer. The Court held that all comments were not about facts that could be verified, only described the experience of cooperation with a lawyer and did not contain offensive or vulgar expressions. The plaintiff is an attorney, a public person performing certain services in the field of law and his services should be subject to assessment, which is not always favorable. Due to the nature of the activities carried out by the plaintiff, the limits of acceptable criticism are wider, because the person undertaking public activities does it voluntary, yet inevitable, undergo evaluation and public reaction. Categories: Art. 23 CC | Art. 24 CC | computer law | domain names | e-law issues | ISP liability | legal regulations on computer networks | personal rights or interests | Polish Act on Providing Services by Electronic Means | Polish Civil Code | Polish courts | Polish Supreme Court | Polish TLDs | surname.